The bungalows at Nuovo Natural Village come in three different variants. There is a 4-person type with 1 bedroom (IT-62018-01), which is suitable for a maximum of 2 adults, a child up to 12 years old and a child up to 4 years old. 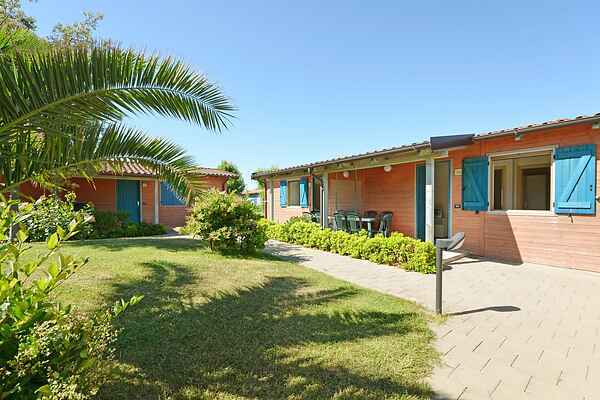 There are also two types of bungalows with 2 bedrooms: a 4-person variant (IT-62018-02) and a 5-person variant (IT-62018-03). The bungalows are neatly furnished and efficiently designed, and come with WiFi and air conditioning. Outside, you will find a veranda equipped with garden furniture.